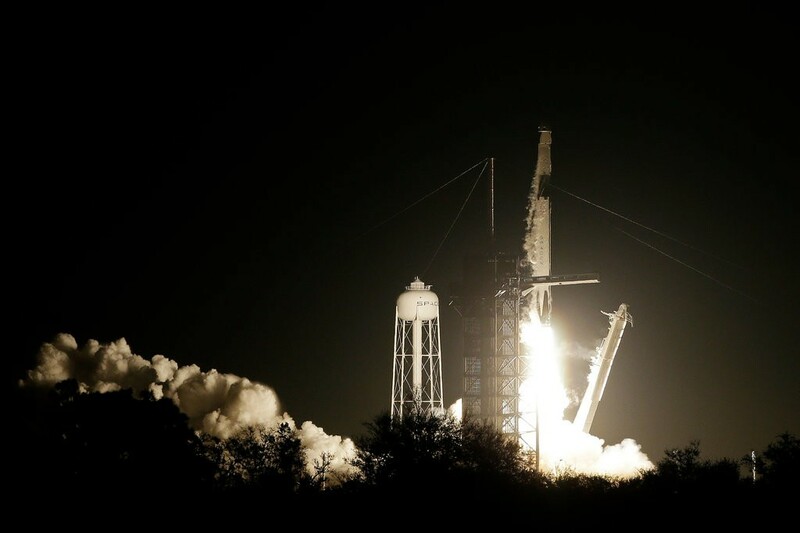 on Saturday in Cape Canaveral, Fla.
On Saturday, March 2, 7:49 - GMT/UTC, the launch of SpaceX's Crew Dragon spacecraft on the company’s Falcon 9 rocket—the first launch of a commercially built and operated American spacecraft and space system designed for humans. Liftoff is from Launch Complex 39A at Kennedy Space Center in Florida. The Demo-1 mission to the International Space Station serves as an end-to-end test of the system’s capabilities. The cabin will be filled with all types of flight recording sensors, including a robotic crash test dummy.